Smash boiled potato, carrot and mix them with little salt. Fry it in oil. 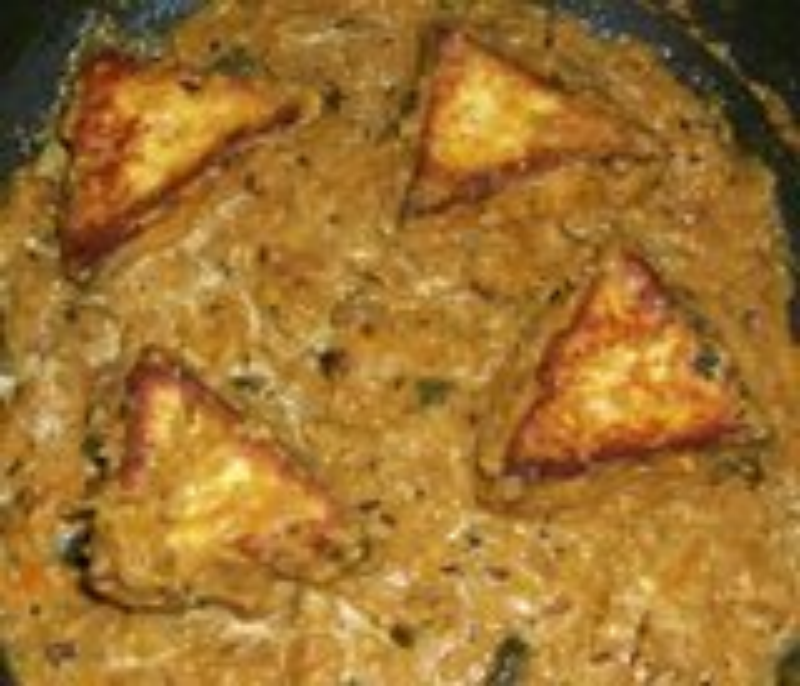 Put this mixture between two pieces of triangular shaped paneer (like sandwich) and seal the side by maida paste.Fry it in oil. Heat oil and add cumin seeds, garam masala, chopped onion and tomato. Fry them till brown. Add ginger, green chilli, garlic paste, turmeric, cumin, red chilli and dhania powder. Roast till oil separates. Add curd, kaju-kishmis , poppy seed paste and little water. Add salt and sugar for taste. Add previously fried paneer. Cook for 5 minutes. Add kasoori methi and coriander leaves. mmm...... **drools** , this is sooo mouth watering..!! Yumm this is a good recipe,thankxx.